If you are interested in immigrating to the United States, you may be significantly delayed by the U.S. backlog, or be subject to so-called 'retrogression.' Included in these delays, for example, would be U.S. immigrants from China, India, El Salvador or Guatemala. In some instances, the delay can be for as long as ten years, or more. That's a long time. In other cases, as for example would-be immigrants from Russia, any of the Arab countries, or Brazil, the solution proposed in this article may also be of interest, but for different reasons. Either way, there could be an innovative way for such immigrants to resolve their problems. The solution would involve obtaining citizenship in the Caribbean country of Grenada, followed by applying for an E-2 investor work visa for the United States. In fact, this solution could be especially beneficial to the investor, because if it is handled well on the basis of solid advice from the investor's tax advisors, the investor may not have to pay U.S. taxes on his worldwide income, unlike in some other U.S. immigration solutions. I summarized the details of the Grenada model in brief in a Forbes article I wrote before. The basics are that for an investment of about $ 200,000 US a foreign national can obtain citizenship in Grenada in about 12 weeks. Once such citizenship is secured, that investor and his or her family can then apply to the U.S. to obtain an E-2 visa. 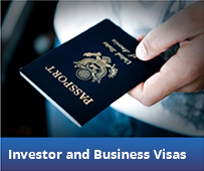 Within about two months, that investor's whole family could be in the United States with five-year E-2 visas. In short, employing the Grenada Citizenship by Investment program and then applying for an E-2 visa to the U.S., a foreigner can bring his family to live in the United States in less than six months. That Investor can then work in his firm, obtain an open Employment Authorization Document for the spouse to work anywhere, send his children to U.S. schools at the in-state tuition rates and travel back and forth to his homeland to look after business back home. As a rough quote, the total cost in legal fees, costs and disbursements of such a move would be say, about $ 75,000 US. 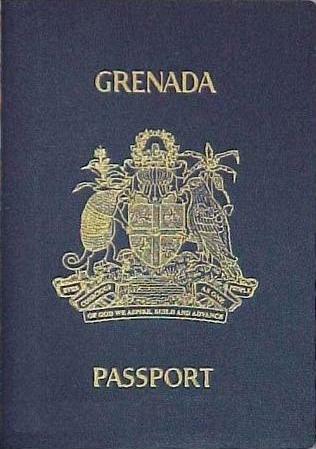 Passport of a citizen of Grenada. Pic: Wikipedia. In addition to being vetted by Grenada and gaining status there, the U.S. process would involve incorporating a U.S. company, establishing an office with phone and fax and maybe a web site, registering with the I.R.S., opening a bank account, depositing a reasonably workable sum of money in the bank and preparing a viable business plan to start a business in America, possibly involving a franchise purchase. It goes without saying the investor would need to speak at least basic English and have some managerial or executive experience, or at least essential knowledge needed for the business. I came to better see how this solution could help immigrants recently when I spoke to an Indian national currently working in the United States in H1B visa status. His problem was that it will take over a decade before he will become eligible to adjust his status to permanent residence and a green card. Too long. 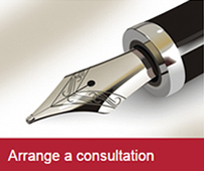 Instead, he decided to look into the Grenada Citizenship by Investment option. His concern was that the H1B visa was under attack by President Trump and he was uncertain where that would leave him. Instead of just waiting to see what happens, he decided to look into the Grenada citizenship option followed by applying for an E-2 visa to run a computer consulting company he sets up in the United States. As we talked about it I came to the view that this was a workable solution in that he did not have to surrender his H1B visa status until he applied for and was granted an E-2 visa. There was some question about dual citizenship and his current Indian status. One thought in that regard was for his spouse, who was also in IT, to be the principal applicant in Grenada and on the E-2 visas so that he did not have to surrender his Indian passport. He would get the U.S. E-2 visa status as a derivative family member, even though he did not have Grenada citizenship. Thus he could work in the U.S. but also maintain his ties to India. As for permanent U.S. status, I referred him to my article written for Forbes on that subject. I am aware of people who have lived in the U.S. for more than 20 years in E-2 status, renewing it every five years. Ultimately, sometimes their U.S. born children can sponsor them for a green card. Still later they can qualify to be naturalized as U.S. citizens. For all such immigrants, Grenada appears to be a creative solution to American immigration problems. I do not want to give the impression such an option is a cakewalk, or that it is suitable for everyone, however. Nothing in U.S. immigration these days is easy. This is no exception. 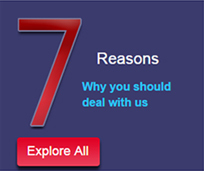 The route suggested here has its own set of challenges and may not be suitable for every investor. 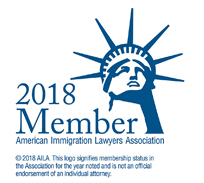 For these reasons this is not an initiative that should be taken in the absence of advice from a seasoned U.S. immigration attorney.